My new obsession these days is the Hydrogen Peroxide. I am experimenting a lot with it in many different ways and I have been successful in most of them. 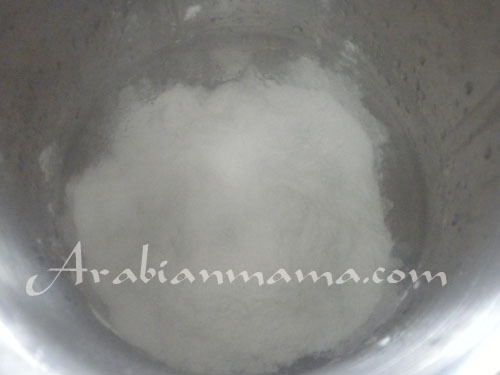 Lately, I was making a very familiar hot drink named “Sahlab”. 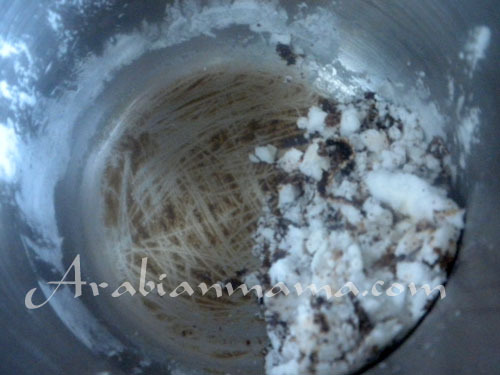 It is a very common winter drink in the Middle East and Turkey as well. I’ll show you how to make it in a later post but to give you a brief idea it is a cup of milk thickened by adding rice flour and corn flour and garnished with lots of nuts and cinnamon as well. 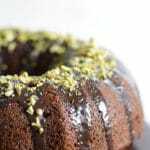 It is yummy, sweet and give you lots of warmth and energy. So after making this delicious drink I ended up with a pan with burnt milk sticking at the bottom of it. 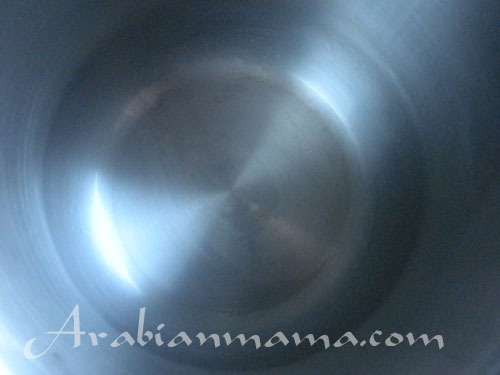 It is one of my favorite pans that I bought from Egypt and it is really a dear one to me. I’ve tried everything I could, searched the internet and got advice from my mom but …. nothing worked. 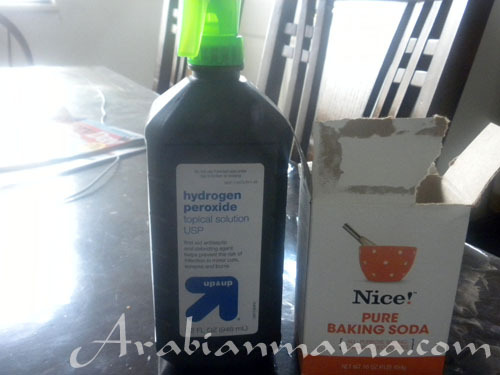 In a desperate attempt, I remembered reading that hydrogen peroxide and baking soda forms a very good mixture for stain removing … So BINGO why not give it a try. Here is my poor baby with the burnt milk. I’ve tried scrubbing it , boiling some white vinegar, soaking in hot soapy water ….. but nothing worked. So I have sprinkled some baking soda over the whole black area then topped with some hydrogen Peroxide and then added another layer of baking soda. Let it set for a couple of hours or even more to do the job. I left it for about 3 hours. I was dieing to see the results 🙂 but I’ve been a good girl and let it set there undisturbed for 3 hours. Then with a spoon I’ve just peeled the layer off, and boy was I amazed!!! you bet I was. It came off so easily leaving my pan shiny underneath. After that just washed it normally as I always do and here it is shining again. 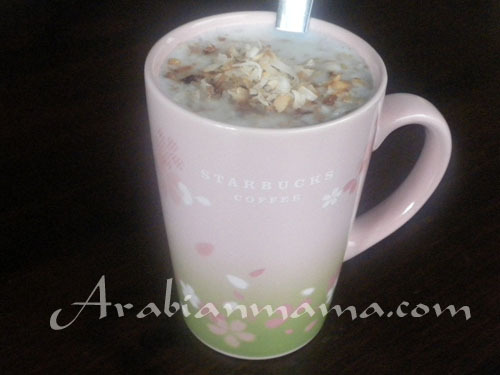 Now I can enjoy my cup of Sahlab guilt free:). What about you? 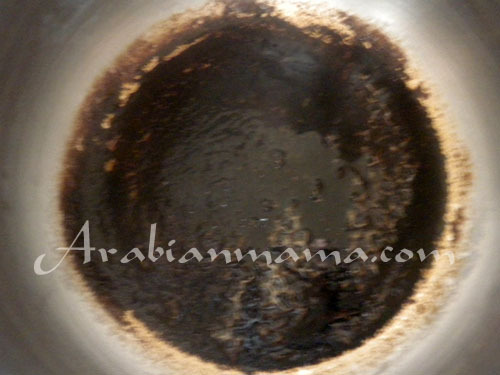 do you have a favorite recipe for cleaning your stainless steel cookware? Please share with us in the comments below.